Conflicting information has been put out on John Scholl’s services. The obituary has the correct date for the service. 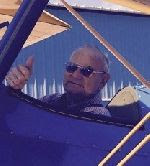 Word has been received with the passing of RNPA member retired Northwest pilot Captain John Frederick Scholl, age 94. Captain Scholl joined Northwest Airlines 11-11-1949. Widowed in August of 2003 with the passing of his wife Beverly, Captain Scholl is survived by their children, plus grand- and great grandchildren. which should take you directly to Captain Scholl’s obituary. Services are planned for May 31st in Buffalo, Minnesota...please see below. John F. Scholl, age 94 of Buffalo and also Seminole, FL, passed away on May 2, 2018. John was born the son of J. Frederick and Ida (Brown) on January 4, 1924 in White, SD. John served his country during World War II where he was a pilot of the B17 bomber. 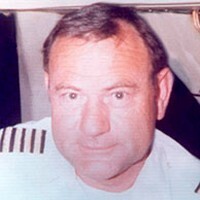 He also served as a Captain for Northwest Airlines for 34 years. He is preceded in death by his wife Beverly and daughter Susan Banasiuk. Survived by children John D. (Nancy) Scholl, Sharon (Jeff) Gleason and Jane (Greg) Skinner; seven grandchildren and 11 great grandchildren; sister Lucille Tellett; cousin Jim (Shirley) Charles; also many other relatives and friends. Memorial service for John will be held Thursday, May 31 at 11:00 a.m. with visitation one hour prior to the service all at The Buffalo American Legion Post #270 in Buffalo. Officiating will be Pastor Dean Brown. Luncheon to follow at the Buffalo Legion. Interment will be held Friday, June 1 at 10:15 a.m. Assembly Area #5 at Fort Snelling National Cemetery in Minneapolis MN. Scholl - Beverly Jane Scholl, age 77, of Buffalo died on August 1, 2003. Survived by husband, John F. Scholl; children, John D. (Nancy) Scholl of Alexandria, Sharon Scholl (friend, Jeff) of Spring Park, Susan (Brent) Banasiuk of Waconia and Janie (Greg) Skinner of Mound; 7 grandchildren; 1 great-granddaughter; brothers, William (Gertrude) Holin of Des Moines, IA, Robert (Gerry) Holin of North Mpls, Hugh (Ruth) Holin of Mpls; sister, Doris (Henry) Bellefeuille of Mpls and other relatives and friends. Memorial services will be held Mon 3 PM at The Peterson Chapel in Buffalo. Visitation will be one hour prior to the service on Mon. Interment will be on Tues at 10 AM at Fort Snelling Nat'l Cem., Assembly Area #1. Memorials preferred in lieu of flowers to North Memorial Hospice Care of Am. Cancer Society. Serving the family... The Peterson Chapel Buffalo, Minnesota. From: RNPA News Sent: Friday, May 04, 2018 1:10 PM Subject: RNPA News: John Scholl Has Flown West. John Scholl passed away at 12:45pm on Wednesday. The obituary should be out next week with the arrangements. From: RNPA News Sent: Tuesday, March 27, 2018 2:42 PM Subject: RNPA News: John Scholl Update. John Scholl is currently residing at Freedom Square 10801 Johnson Blvd. Seminole, Fl. 33772 Rm 141. He will return to Buffalo, MN. as conditions improve. Call or write. He would really appreciate the effort.